Should freelance writers ever work for free? I have been hard at work at updating the Paid Publishing Guidebook. 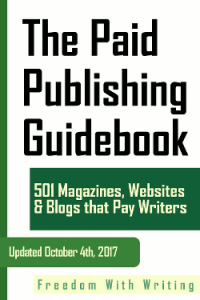 It now contains 501 publications that pay writers. I’m giving it to you, completely free. As many of you know, we’re launching a new session of Break Into Blog Writing very soon. Registration for the course will open on Friday. To help you decide whether the course is right for you, we’re releasing a PDF version of the first lesson of the course. To get a better sense of the course, we also recommend watching this free one hour webinar. If you want to participate in the course, you can sign up for the waiting list here. 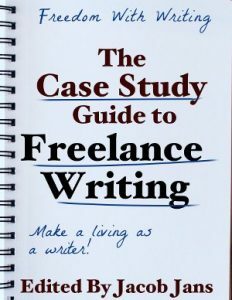 I am pleased to announce the release of The Case Study Guide to Freelance Writing. The book is available now, free to members of Writing Launch.